Travelling Greece is (relatively) safe. 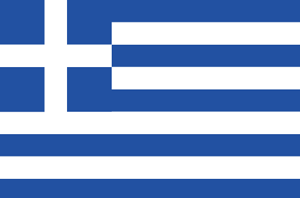 Greece is a country in Europe (Southern Europe) with around 11 million citizens and a land mass of 131,940 km². We detected travel advisories from 4 sources for this country. Greece shares land borders with 4 neighbouring states. For this country, the Danger Index is 1.7 (average value for all countries). All countries habe been reported as somehow dangerous: Turkey (3.1), Albania (1.5), Bulgaria with (1.0) and Macedonia with (1.0 of 5). See danger map of the region. Exercise normal precautions in Greece. Read the Safety and Security section on the Country Information page. The Ministry of Foreign Affairs and Trade Promotion wishes to advise Maltese travellers that the Hellenic Police will begin implementing systematic passport control checks for all European citizens travelling to/from destinations outside the Schengen area (including the UK) in line with a 2017 Schengen Borders Code regulation; increased waiting times at passport control are possible on departure from and arrival into Greece; you should ensure you arrive at the airport in good time. "Karaiskaki square - Athens" uploaded by Marina Sp.